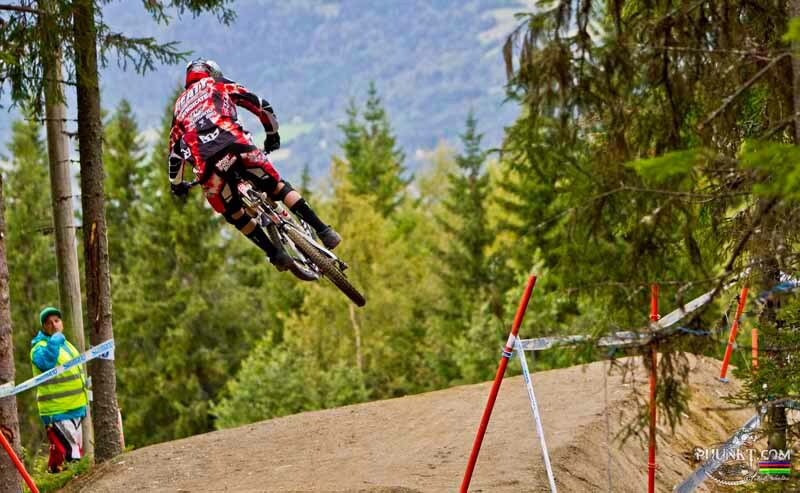 The 2012 Mountain Bike World Cup concludes on Saturday with the final round of the Downhill series in the new venue of Hafjell, Norway. Approximately two hours north of Oslo, this World Cup will be a trial run for the World Cup triple scheduled for 2013. This may the first year of World Cup action for Hajfell, but the organizers have been building towards this moment for over a decade. Often referred to as the Whistler of Europe, Hafjell offers many trails, ranging from beginner to Freeride to World Cup level. The course offers a mix of the best of many past World Cup venues, with he mixture of terrain making at least one section suited to almost every rider. It will be a hotly fought race between the new and old school. From the start gate, the riders are faced with the Monster Jump section, containing four 10 to 14 metre jumps. What follows is a mixture of natural and built trail through two major rock gardens (the biggest known as the Rock Jungle) before entering the final ski 'piste' into the finish. The men's series has already been won by defending champion Aaron Gwin (Trek World Racing), who has an insurmountable lead in the standings, however, the battle for second place overall is very tight, with recently crowned world champion Greg Minnaar (Santa Cruz Syndicate) only 19 points ahead of Gee Atherton (GT Factory Racing). These two riders are guaranteed second and third, the only question being which will be silver and which bronze? The battle for the remaining two series podium spots is equally tight, with five riders having a good chance at fourth or fifth. 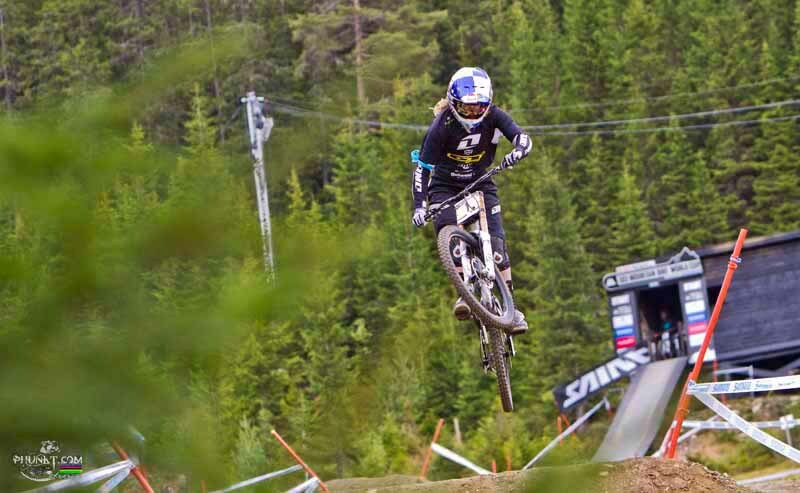 The women's title is still undecided, with current leader Rachel Atherton (GT Factory Racing) leading Emmeline Ragot (MS Mondraker) by 80 points. Atherton may be vulnerable, after finishing a distant fifth at the World Championships, where she was struggling with back problems, while Ragot won the silver medal. For Ragot to win the title will likely mean finishing first or second in Hajfell and Atherton must finish out of the top three. The remainder of the podium could see some shuffles, with number three ranked Myriam Nicole (Commencal/Riding Addiction) and fourth ranked Tracey Hannah (Hutchinson United Ride) both out of action due to injury. The action begins on Friday with the qualifying runs.